Bahrain national carrier Gulf Air has dismissed media reports that armed police stormed one of its flights at London Heathrow. However, the carrier confirmed that upon landing of the Gulf Air flight GF003 from Bahrain in London Heathrow on March 20 at 1451 (local time), Metropolitan Police contacted Gulf Air requesting to question a passenger. In compliance with this request, Gulf Air crew located and escorted the passenger from the aircraft. In a statement, Gulf Air said: "Following recent media reports surrounding a Gulf Air flight GF003 from Bahrain to London, Gulf Air can confirm the following: upon landing into London Heathrow on March 20 at 1451 (local time), Metropolitan Police contacted Gulf Air requesting to question a passenger. In compliance with this request, Gulf Air crew located and escorted the passenger from the aircraft. 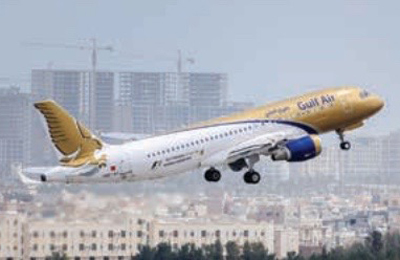 "Contrary to media reports that “armed police stormed the flight”, Gulf Air can confirm that no authorities boarded the aircraft and the remaining passengers on board Gulf Air flight GF003 disembarked the aircraft following standard disembarking procedures in order to proceed to the terminal building," it said.